Ihu’s Breakaway Falls fully installed. Ready for May 9th opening! Great news for the water park fans! 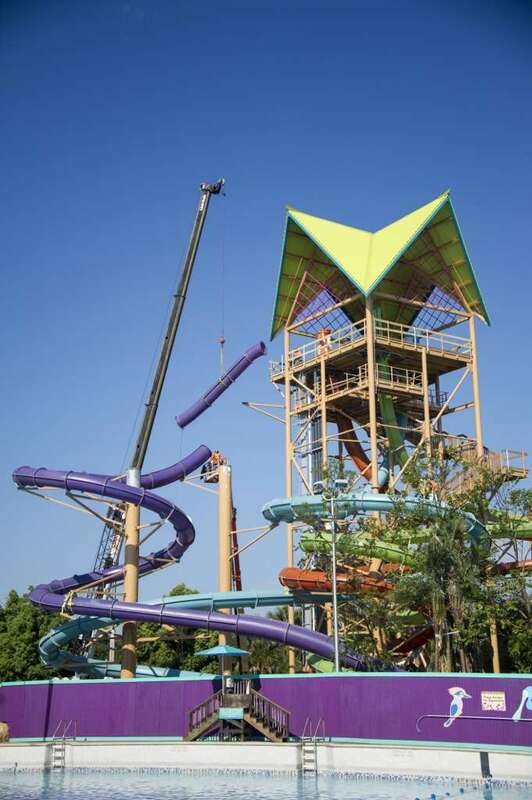 SeaWorld’s water park Aquatica finished installation on the last slide of Ihu’s Breakaway Falls. 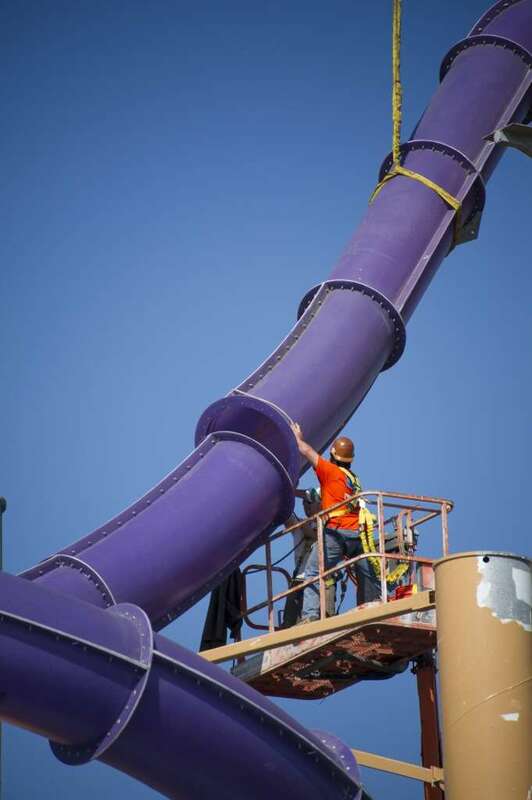 This one of a kind slide has over 200 pieces bolted together to make the tallest and steepest water slide in Orlando to offer multiple drops. This slide is the only high speed thrill slide that sends it’s riders through four 360 degree spirals! You and two of your friends will see the fear in each other’s eyes as one at a time you will have the floor drop out from under you. Once the floor is gone, you will plummet down 80 feet! I know I am excited about this slide! The slide is set to open on May 9th!